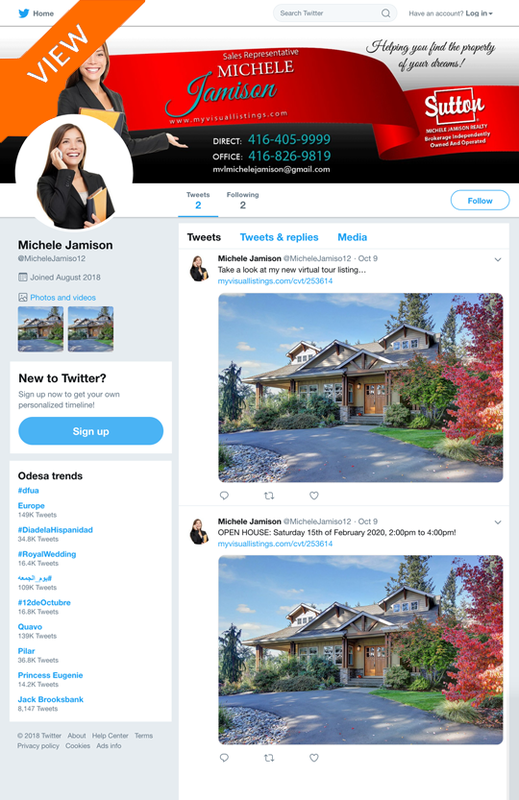 Our platform includes a complete built-in social media syndication system for our property listing webpages, open-house blasts and our free listing YouTube videos. 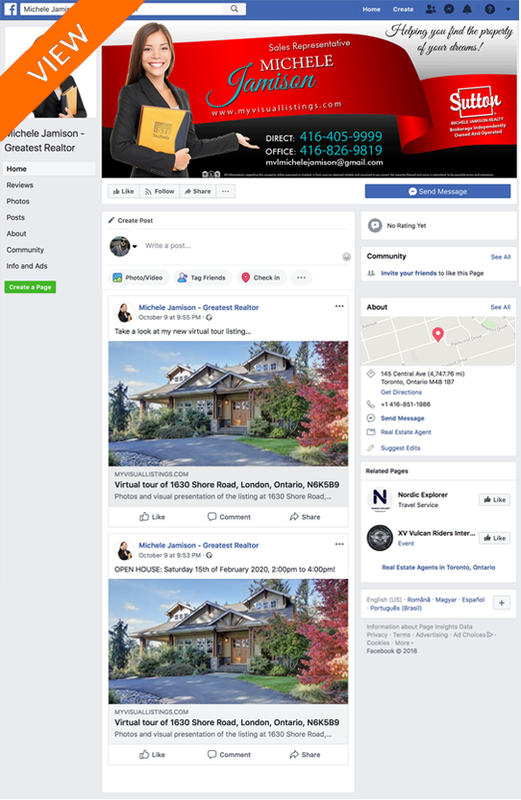 We have been providing our real estate clients a complete online visual presentation and marketing platform for over 14 years now and it only made sense that we add a product and service that allowed our thousands of agents to syndicate their listings to their social sites. into our manage tours area. View facebook Sample How To Set-Up facebook Page? View Twitter Sample How To Set-Up Twitter Page? 2019 MyVisualRealEstate.com Inc. All Rights Reserved.